Self Defense is not simply a physical matter. Self defense is not a show or a performance with cool uniforms, lights, and music, it is not a spectator sport. Self defense in fact has little in common with sporting competitions; the differences exceed the similarities. Most martial arts schools begin their self defense training with the physical. People came to sweat, to feel good, to move! Sadly they are off to the wrong start. Sweat, shout, kick and yell, YEAH! Everyone feels so much better. Give the people what they want, but are they really learning anything useful? Let us take an analogy for a moment; Police receive a notice of a missing child, how do they begin? Do the police start running out, sweating, shouting, or do they first stop and analyze the information? Without first gathering all relevant data the search is simply a waste of time, an attempt to show the public that something is being done, but it is only a show. Self defense begins with the mind, with understanding. Know the enemy. You need to understand what the enemy wants and how they want to get it. Your self defense does not begin with push ups or punching, it begins with understanding the person standing in front of you. What does he want and he does he plan to get it. Due to this little factor 90% or more of all martial arts including most Krav Maga schools, fly right out the window, irrelevant and ineffective, or worse. You have entered an event without stopping to ask which event you entered. Violence is motivated by many reasons; political, racial, economic, fun, cultural, territorial etc. And they are all very different. You may have the first time criminal, hesitant and fearful. This person may be as nervous as the victim. With the right words, the correct negotiating tactics it is possible to talk this person out of the crime. It is possible to buy time and it is possible to disarm them or escape. But this is not the case for all. Let us use an example. Most Krav Maga schools begin with acting; i.e. the first move is to raise your hands and act, "Hey body, take it easy man" and then you quickly and accurately take away the gun or knife from the unsuspecting street thug. Shocking I have seen many schools teach this approach even when the assailant is standing behind the intended victim. They really believe that they can disarm this street thug. Let us analyze that for a moment, shall we. On one hand we have the street criminal, (assuming this scenario). He is 26 years old. He has been on the street since the age of 13. He is a gang member, has no known father and has little to live for. He has committed enough crimes to sit in jail for several life times. He is below average intelligence. He is trigger happy, he has killed before and gotten away with it, he is ready to kill you now, for your watch, your jewelry, your nice coat and a little cash. On the other hand is you; a decent person, educated, non violent, hard working. You have never hurt anyone in your life, you just want to get home safely, or back to your hotel. You made a wrong turn, it was all a big misunderstanding. Now you took some Krav Maga lessons with some guy in the Mall back home. It looked cool, just like the youtube actors. And now you are going to try some of this stuff, and all it begins with acting. You are going to slowly raise your hands as that gun is pointed at your head. You are going to slowly raise your hands as he stands behind you with a knife on your throat. Do you really think you are going to fool him? really!! But that is what your Krav Maga instructor told you! Raise your hands, say..Take it easy....and then quickly grab that knife away and disarm the gang member. Does this make sense to anyone once you think about it? Now your fancy dojo with all the cool punching bags and false empowerment seems rather silly. You did push ups, you lost some weight, but did you really learn anything about real self defense? Let me tell you, these people will pull the trigger just because it feels good. (again, dealing with just one type of violent scenario, there are many and your teacher should be teaching you about this, not only doing push ups and sit ups). Do you truly see the man standing in front of you, or behind you? Do you understand him? He is not going to college, he does not want a job, this is his job and he is good at it, better than you. So you have to rethink your self defense training. That is what we do every day at IKI, we rethink everything that we took to be true yesterday. We deal with the worst case scenarios but first we want to understand whom we are dealing with. Is this a person that can be talked with? or is this a seasoned street thug who lost all resemblance to humanity? If you do not understand this part you are not at all prepared to deal with the situation. Your "have fun, learn Krav Maga, lose weight" training center has not prepared you for this reality. We do not have all the solutions, we have not solved world crime, but we are dealing with reality. This must begin with an honest look at all sorts of violence; political, racial, criminal etc. 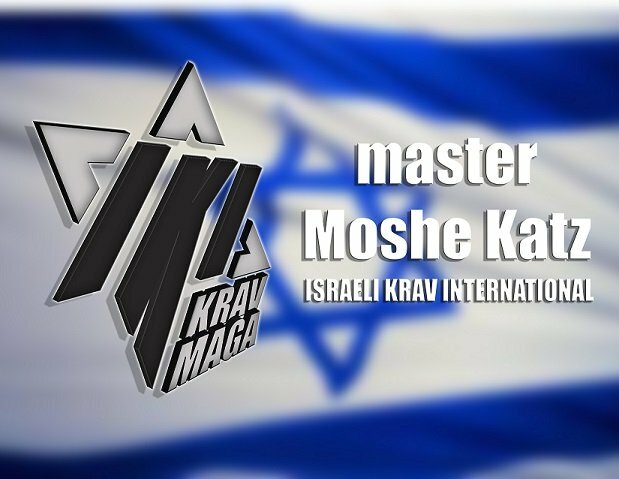 Krav Maga, Self Defense, does not begin with push ups or body building. Seeing an instructor who has clearly spent most of his time lifting weights...well, I am not sure that makes him the best self defense instructor. A scrappy little street thug who has spent the better part of his life on the street will chop up a man in seconds, dog eat dog world, kill or be killed. We must understand this or we will perish.